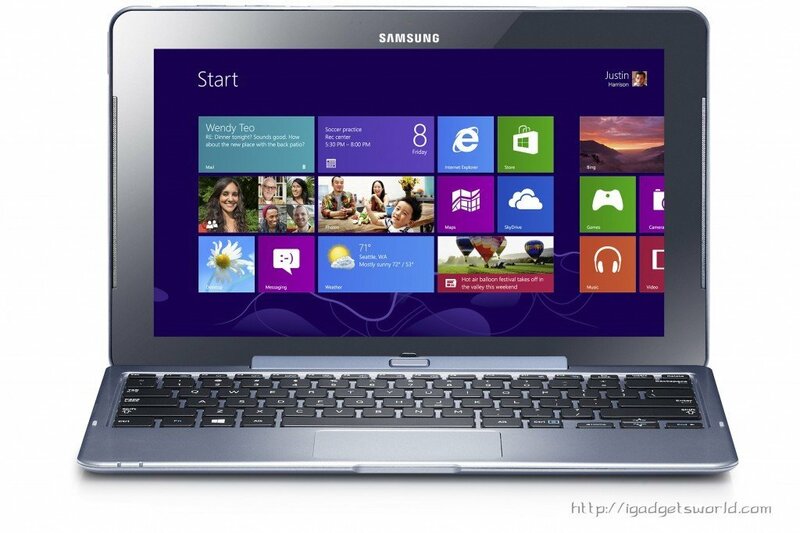 Samsung has announced its brand new ATIV devices based on Windows 8 operating system. Introducing the new sub-brand for Windows-based devices,Samsung has unveiled ATIV smart PC, ATIV Smart PC Pro convertible laptops and Windows RT running ATIV Tab along with ATIV Ssmart phone. Starting with ATIV Smart PC, this notebook comes with a detachable keyboard locking system, which allows users to switch between a tablet and traditional laptop. 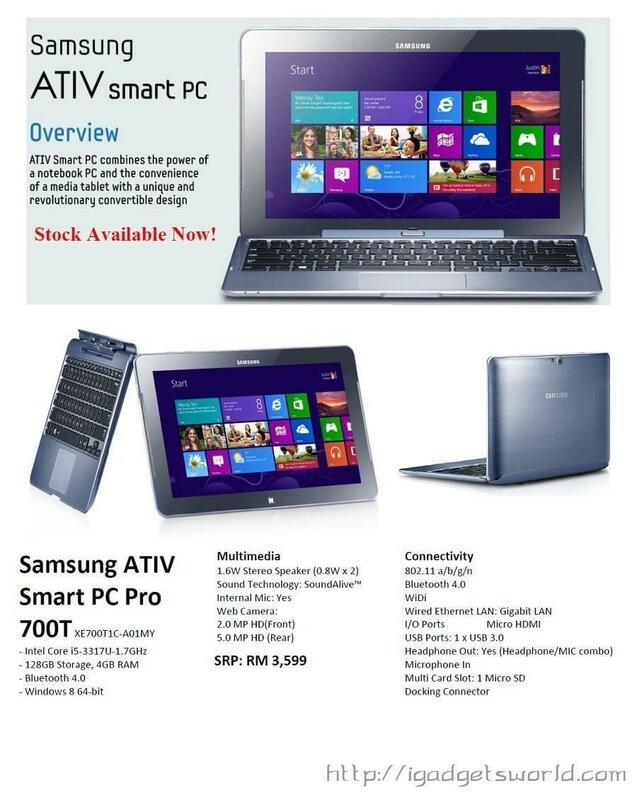 ATIV Smart PC also features 11.6-inch touchscreen full-HD LCD, S-Pen, Intel Atom processor, and USB 2.0. On the other hand, ATIV Smart PC Pro, which uses the same form- factor as ATIV Smart PC, features Intel Core i5 processor, USB 3.0, S-Pen, and an 11.6-inch touchscreen full-HD LCD. According to Samsung, both Smart PC and Smart PC Pro come with Windows 8 on-board, however they are also fully Windows 7 compatible. The Korean manufacturer has also revealed its first Windows RT tablet along with Windows 8 devices. Dubbed as ATIV Tab, it features 10.1-inch display, Office Home and Student 2013 RT, 8200 mAh battery, USB port and 1.5 GHz dual-core processor. 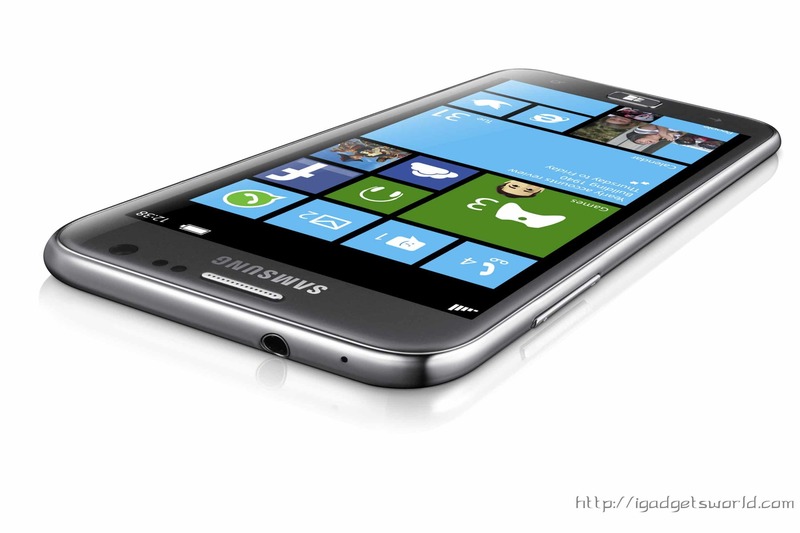 Samsung ATIV S takes the look the Android-Based Galaxy S3 and places Windows Phone 8 at the forefront. The few changes, such as the brushed aluminium chassis is certainly a welcome change from the traditional plastic on previous Samsung devices. 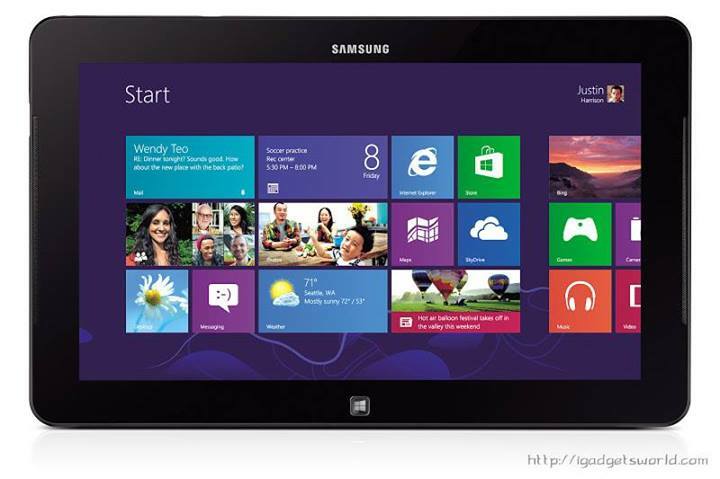 “Samsung is delighted to introduce a wide portfolio of Windows 8 and Windows Phone 8-powered devices. With our leadership in design and technology and Microsoft’s leadership in operating systems, together we are able to provide customers with a full range of ATIV devices for cross-category convergence,” said Seong Woo Nam, Executive Vice President of IT Solutions Business at Samsung Electronics.